Corry Micronics can be your RF systems packaging integrator. 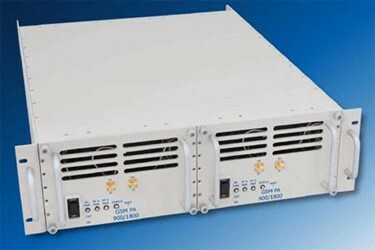 Most often the outputs from the RF Power Amplifiers are controlled by CMI’s Hi-Power RF switches. These outputs can then be fed into multiple antennas or multiplexed into one antenna. This depends on your system design. From the antenna, signals are multiplexed to Low Noise Amplifiers (LNA’s) and then fed into the RF switch matrix. From the RF switch matrix signals are switched to the appropriate SDR. You can refer to our block diagram for additional data on each of the sections such as RF Power Amplifiers.